Now more than ever people are relying on their phones. From emails to texts to shopping lists, there is nothing that a phone can’t help you organize and complete. Now, your phone can also be your own personal trainer. Utilize this technology effectively by downloading these ten fitness apps in 2016. 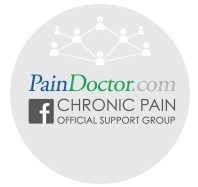 One of the main reasons those with chronic pain don’t exercise is that it has been so long since they were able to that they just don’t know where to start. And for many pain patients, an actual personal trainer is out of the question. FitStar Personal Trainer addresses that issue by tailoring workouts to your own fitness level. Created by former National Football League player Tony Gonzalez, this app is free and available on iOS. If you are the type of person who needs a little extra nudge, another app can give you that personal nudge without the inflated price tag. FitMo puts you in contact with your own personal trainer who checks in with you monthly to set up meal plans and workout schedules. They also stay in touch via email and video chats. If you think you might need a nudge, this is the app to do it. Available on iOS only for a variable fee. Whether you are a former runner who needs a little motivation or non-runner who wants to give it a try, take a look at this story-based app that offers a little terror with your physical fitness. Over a million people play along (exercise along?) with this story that simulates a zombie apocalypse and rewards you with new challenges as you go. You can also walk to collect supplies and tools you need to help survive the zombie apocalypse. Available on iOS and Android for $3.99. The same old fitness class and routine can get, well, routine. Don’t let boredom stop you. MINDBODY Connect is a free app for iOS and Android that finds tons of classes at studios in your city. You can even book and pay for spa sessions online (for after exercise, of course!). Apps for runners are a dime a dozen, but this app combines running and cycling. Cycling is a great low-impact exercise for those with chronic pain, available to most people at any level of fitness. Designed for both iOS and Android, Strava is also a social app that allows you to share not only your ride with others but also your photos from the road (or trail). This app not only helps you count calories to make sure your intake is appropriate, but it also keeps track of your favorite (healthy) foods the longer you use it so that you can easily add it to your daily total. Many name brand foods are also catalogued here. Free for iOS and Android. Noom Coach takes the calorie counting ease of MyFitnessPal and adds a twist. Once the app gets to “know” you and your diet a little better, it suggests healthy tweaks and swaps to improve your diet. It also tells you calories counts of popular restaurants like Chipotle. This can be very helpful, as many don’t often realize that their “healthy” burrito bowl can bust their calorie count for the day in just one meal. Free for iOS and Android. This app isn’t just good for your health. It may just save your life. If you have allergies and travel overseas, potential allergens can be hard to translate. Allergy FT translates your allergies from English to the language of the country you are visiting so that you can more effectively communicate with wait staff and grocers. This app is only available for iOS and costs $2.99, but this may be the best three bucks you’ve ever spent. Meditation has been recommended for everything from chronic pain to chronic stress, but it can be difficult to discipline yourself to actually sit down. And once you sit down, what are you supposed to do? Welcome to Headspace, and founder Andy Puddicombe’s free ten-day challenge. Headspace offers ten free, ten-minute guided meditations to get you in the groove. The app costs $12.95 a month for both iOS and Android, but who can put a price on peace? Sleep is so important for chronic pain patients. Lack of sleep or poor sleep quality can intensify feelings of pain and increase mood disorders. Sometimes it seems like you fall asleep, only to be ripped out of the deepest, most restful part of sleep just a few hours later. Sleep Cycle uses your own natural rhythm to plan a wake up time that matches the lightest part of your sleep cycle. A complete sleep cycle is the most restful. Even if you suffer from insomnia or have a hard time falling asleep, Sleep Cycle can help you get the fullest sleep experience. For those of you who haven’t yet jumped on the app bandwagon, consider this: a recent study from the American Heart Association found that apps have great potential to help their users make long-lasting healthy lifestyle changes. Do you use apps for health and fitness? Which ones work for you?